Happy 4th of July from our family to yours! We hope last week's blog gave some helpful info on today's activities in and around Park City. Historic Main Street, City Park, PCMR - At Park City Mountain Base area, enjoy family fun, live music and barbeque, and fireworks at dusk! For more information click here. Park City Mountain Resort July 3 & 4 | Canyons Village at Park City, Park City Resort Center - Fireworks will shoot off at dusk, approximately 9:30pm. 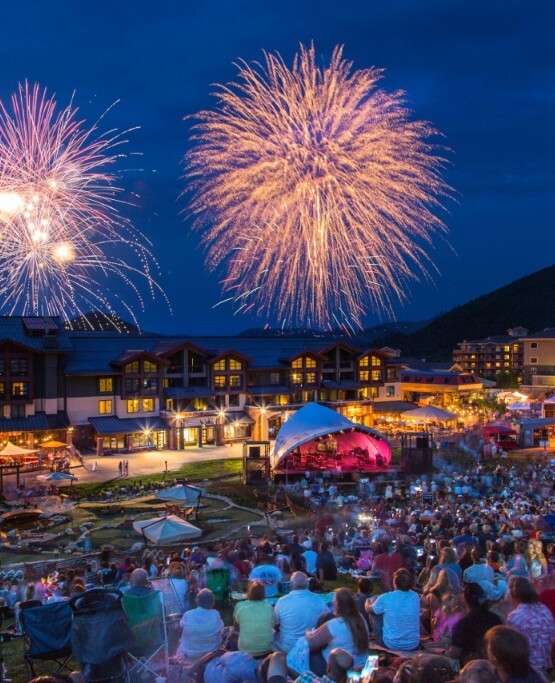 Come check out the 4th of July Celebration, ending with Park Citys annual fireworks presentation. Also, the 83rd Annual Oakley Rodeo & 4th of July Celebrations run July 4-7, 8pm Nightly | Oakley Rodeo Grounds - The 4th of July wouldnt be complete without a visit to our local rodeo, with cowboys, clowns and bucking broncos and bulls. Yee Haw! Get tickets early as they well sell out. For more information click here. Posted in Uncategorized, Local Events | 0 Responses to "Happy 4th of July!"